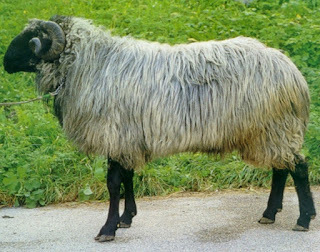 The Tiroler Steinschaf sheep are robust animals. They have a coarse, dual-coated fleece that can be of all color and markings. They are very hardy and perfect for life in the high mountains of the Eastern Alpine regions.